Atrial fibrillation affects the heart’s upper chambers, where these beat erratically and out of sync with the lower chambers. Episodes may come and go or fibrillation may be constant, requiring ongoing treatment. While atrial fibrillation may not be immediately life-threatening itself, it can lead to complications and other heart problems down the road. 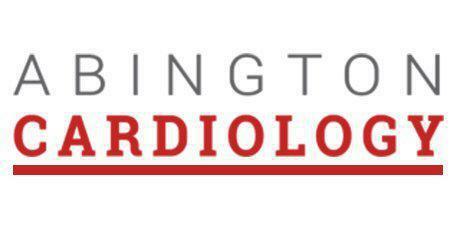 To understand all your treatment options, book an appointment with Dr. Meshkov and the team at Abington Cardiology in the Abington, Pennsylvania area for a complete plan to manage your condition. There are some instances where people suffering from atrial fibrillation don’t have any heart damage. What symptoms accompany atrial fibrillation? Treatment may depend on which type of atrial fibrillation is being experienced. Paroxysmal atrial fibrillation features intermittent symptoms. The fibrillation may last a few minutes or a few hours, then the symptoms pass and normal heart operation resumes. Persistent atrial fibrillation sees the heart continue the irregular beating. Its rhythm won’t return to normal without treatment, such as medication or electrotherapy. Long-standing persistent atrial fibrillation lasts continuously for more than 12 months. Atrial fibrillation may also be permanent, where normal rhythms can’t be restored. When should I see a doctor about this condition? If you notice any evidence of atrial fibrillation, you should make an appointment to consult with Dr. Meshkov and his experienced team at Abington Cardiology. He will determine the nature of your condition, whether it’s atrial fibrillation or arrhythmia, a different heart disorder. Dr. Meshkov may also perform an electrocardiogram to better determine the nature of your condition. When atrial fibrillation symptoms include chest pain, call 911 and seek immediate, emergency care, since you may be experiencing a heart attack. Call or schedule an appointment online with Dr. Meshkov at Abington Cardiology today! The practice is currently welcoming new patients and accepts most forms of medical insurance.